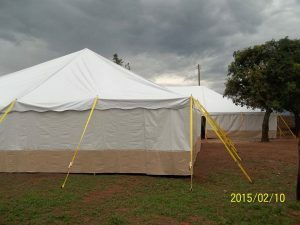 Revival Tents Worldwide Tents sent to Uganda stand STRONG in the Storms! Our long lived revival tents are the Best, Strongest Pole tents made! 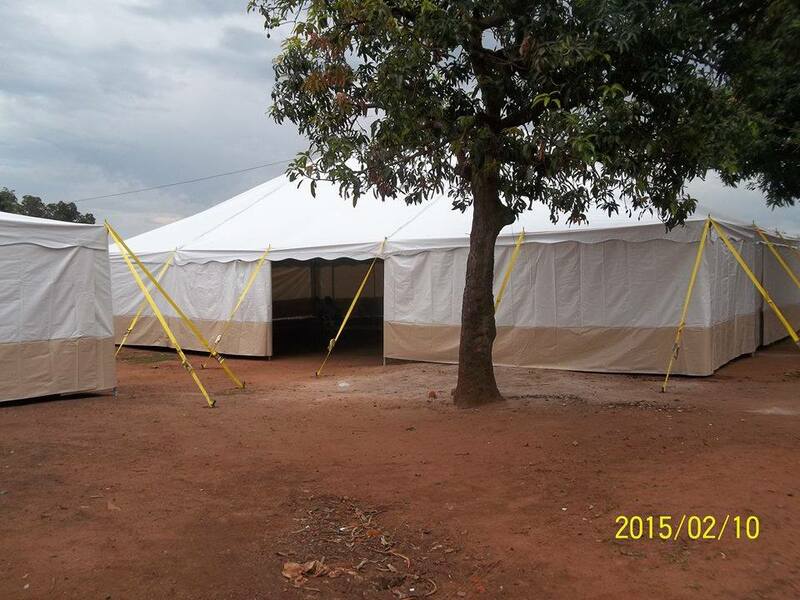 Gospel Tents have been shipped all over the world from Worldwide Tents! 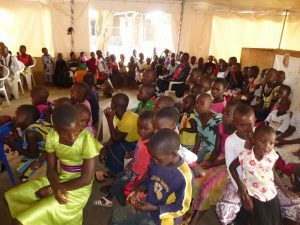 In 2015 we sent two 40X60 white pole tents with sidewalls, and ratchet straps a wonderful ministry right in the middle of the Namatala Slum in M’bale, Uganda. 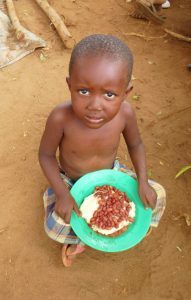 I personally traveled to M’bale Uganda and spent 2 weeks there to direct setting up the two tents. 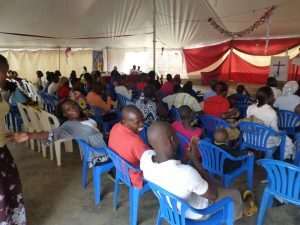 It’s a long story but the tents ended up arriving late, after I had to leave but I sat down with the fine brothers of Ebenezer Baptist Church, and Orphanage, and gave them a quick whirlwind lesson on how to erect pole tents! I left the next day putting the whole situation in God’s hands. I must admit I was a bit nervous. Long story short those great men not only setup those tents when they arrived, but they did an EXCELLENT job!! To God be the Glory!! 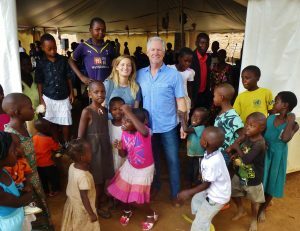 Those great revival tents are still standing there STRONG, one as a church sanctuary and one houses some of the orphan children. Here is a testimony from Brother Okana Julius on how those tents withstood a tremendous storm in 2016 without even one rip!. Thank you David, thank you Worldwide Tents! No doubt, these revival tents are strong and durable. They are the strongest tents ever here in Mbale, Uganda. 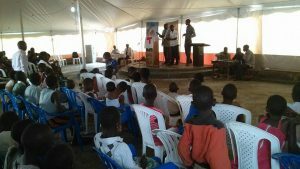 I may only compare them with those of Watoto church, Kampala. Even after the strongest wind which brought down even the strongest buildings in the village and the neighborhood, our tents remained strong only that the poles on one side of moved out their positions and sagged inwards but without any tear on the tent itself. Thanks for local (church members) whom David trained on how to handle emergencies. We responded very first and lifted the tents back to their positions and praise God, the current state of the tent is even more better than the former. One can not believe these tents were once destabilized by a storm. This is how strong, durable and long lasting the worldwide tents are. I strongly recommend any organization and/or individual interested in acquiring a real strong, durable and long lasting tent I assure you of the best and you’ll not be disappointed. Blessings. If you want the Best, Strongest, Most Durable, Long Lived Revival Tent/Pole Tent send us an email at Worldwidetents@aol.com, or fill out the form on this page, or call us at 407-579-7187.